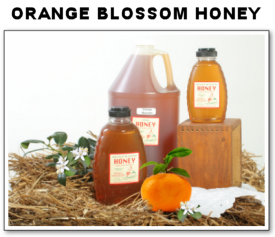 Orange Blossom Honey varies in color and flavor from year to year. It is sometimes light and mild and sometimes darker. The flavor is sweet, unique and it is sought after by many. It is mainly produced in Florida and California.